But my question is more about planning & thinking it all through. Have you given thoughts to where your kids are going to study long term? Do you see them all gathered at the kitchen table? Or do you envision everyone in their own rooms writing away? Well if it is the latter, you are going to need space. And if so, I need to incorporate it now, as we design the big kids bed. There are so many different styles of desks. But like everything today, even desk designs have improved. These aren't your grandpa's roll top desks. Remember when desks had room for large hard-drive towers? The design has changed with the functionality. It may not be laptops, but they will still need a place for their tablet. Here's what we have to offer when it comes to study space. 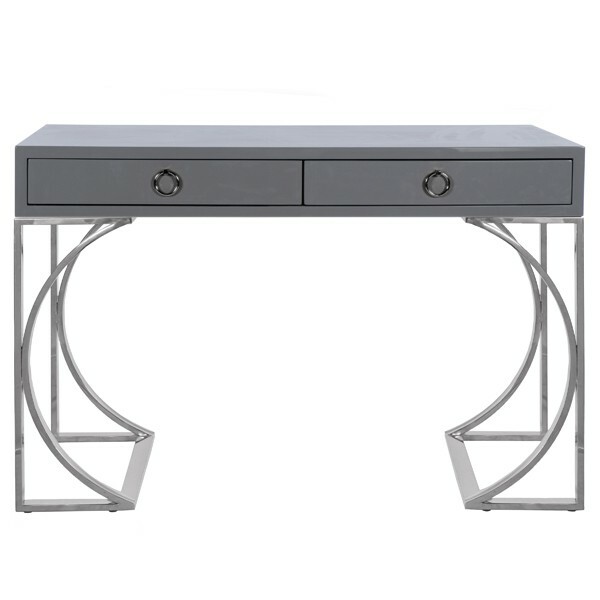 There is something elegant about a writing desk. It actually makes you want to sit down & write correspondence. I particular like the openness & versitality of them. Especially for teen girls, it's a desk during the day & a vanity at night. So sweet. Now you can't have a modern home, then throw a traditional desk in the mix. That's why it's so great to have options with cleaner lines. It lets the design be so sleek. I really love the mix of different materials-- like metals & wood. So fresh! Sometimes a desk is just that, a desk. We need it to organize and even more importantly hide stuff. 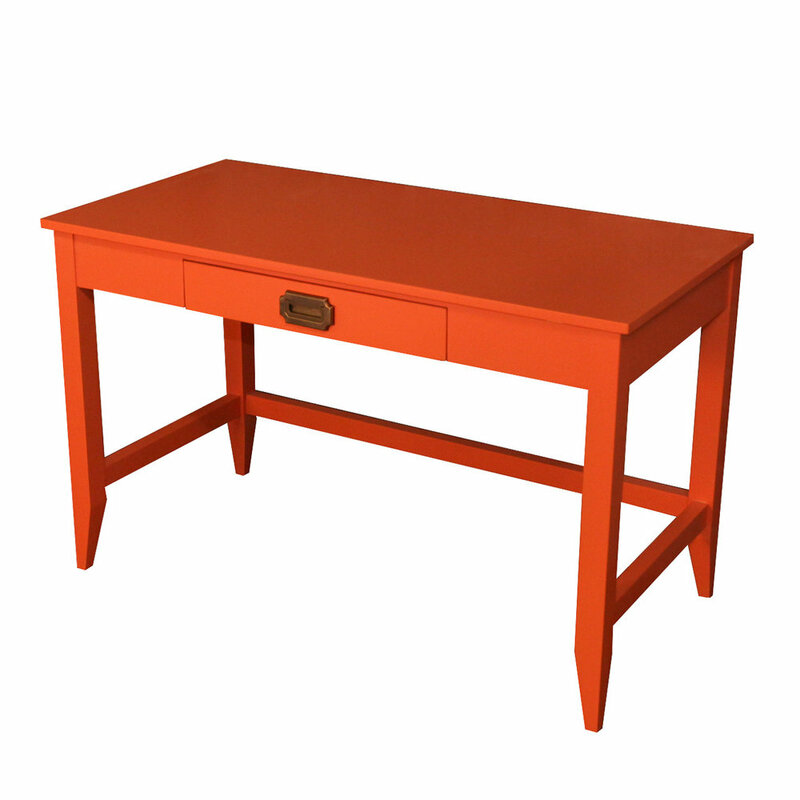 With your classic student or pedestal desk, you have the ability to have more storage & drawers. But love how you can get custom paint or really cool driftwood finishes to personalize the desk. With all the #mombosses out there, the moms telecommuting on Fridays and the moms who just need to write a check, oh do we have something for you!